Halloween will soon be here so I thought I would show you the scissor fob that I talked about in the previous post, this is the one made from my free pattern here, I only used three colours but I think it looks quite nice. I really enjoyed stitching this, although I have not done much halloween stitching this year I have put pictures in my blog header of the stitching I did last year, one was for an exchange I did and the other was a gift for my sister. I have since been meaning to stitch the Just Nan halloween tin for myself but haven't got around to it just yet, it has been in my craft room since last year in my stash! Here are some more photo's. I handmade the tassle out of matching DMC thread, stitched mill hill black beads around the edge and added some beads to the tassle. Happy Halloween everyone, thanks for the comments and welcome to all of my new followers! 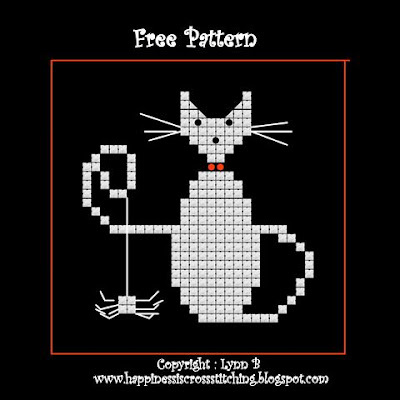 Free halloween pattern, work in progress and a new pattern. 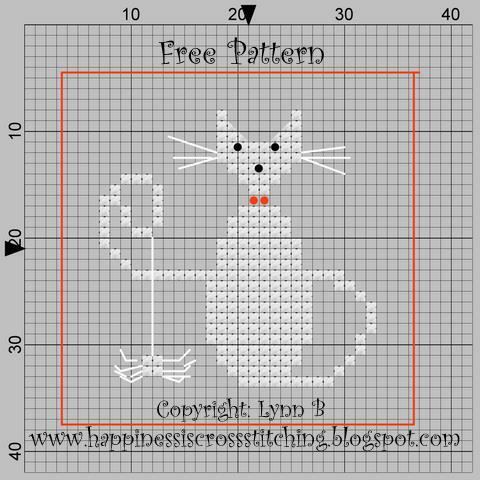 Hi everyone, I have plenty of stitching and creativity to show you this week, I have a free pattern for all my readers, progress photo's on Rosie from Little House Needlework and my latest Christmas Cat design to add to my cross stitch pattern collection. 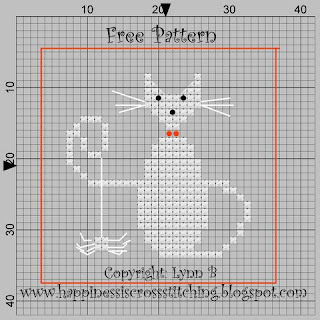 I have been busy with Halloween stitching this week, I have just sent off the Halloween Scissor fob to my partner in the Hooked on Exchanging Halloween exchange, I can't show you that yet until my partner has received it, although I enjoyed stitching the scissor fob so much that I decided to make my halloween cat into a mini freebie to stitch as a scissor fob or mini hanging ornament. I have completed the pattern in grey colours so that you can see the stitching lines etc but I am stitching mine on black fabric, I have finished stitching the pattern and I am going to trim the edge with black beads. Here is the pattern, just click on the picture and print. Here is my scissor fob, I am going to attach a handmade tassle and maybe a bright orange matching cord, hopefully I should have this ready for my next post. If you wish you can purchase the matching halloween larger pattern, just email me in my profile. Next up is my progress on Rosie, I love the way she is turning out, I can't wait to get this framed. 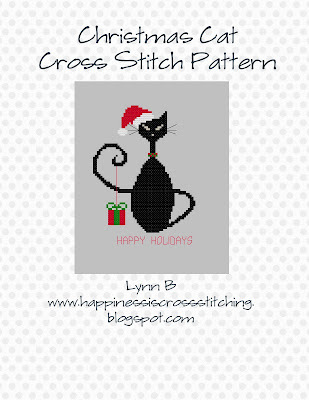 Last but not least my latest Christmas Cat design available, just email me from my profile. Welcome to all of my new followers and thankyou to everyone who has commented, I appreciate all of your comments! Happy stitching, hope you enjoy the scissor fob freebie! My first design has been published and my latest felt stitching. Hi everyone, I was going through some of my photos and saw that I had not published this needlework set I made in August, it is made from blue felt and stitched with spider web roses and mill hill beads, it is one of my own designs. I was very excited this week when I visited the local book store, I saw that my first design had been published in this months World Of Cross Stitching Magazine, it was on the front cover! This has been in the planning stage for some months but I did not want to say anything until it actually happened. Unfortunately, my magazine has not yet arrived in the post, it should be arriving any day now, when it does I can show the magazine on my blog and you can see the Christmas design that I stitched, you will have to buy the magazine though if you wish to stitch the pattern. I designed and stitched a round Christmas Ornament with swarovski crystals attached. 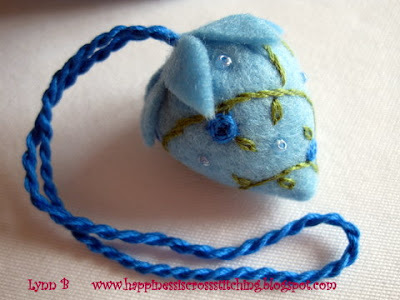 I am still stitching Rosey Posie from Little House Needleworks, she is looking very cute and I should have a photo for you soon. Welcome to all of my new followers. 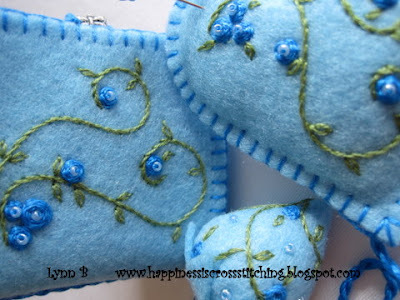 Happy stitching, until next time! 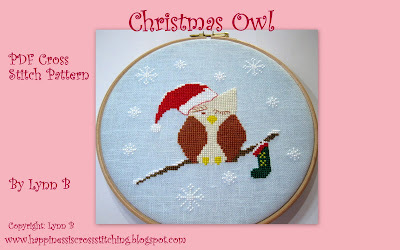 Christmas Owl, Chandelier pattern and winner of my giveaway! Congratulations Mouse, please email me and I will send you the details on how to claim your prize! And now for the patterns I have been busy designing this week. 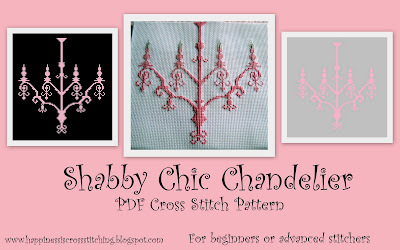 I love anything shabby chic and wanted to stitch something unique for my craft room, I decided to design this pink chandelier. I think the pink looks nice stitched on white, black or pale grey, I have chosen to stitch mine on white fabric, I think once this is framed in a shabby chic wood frame it will look perfect on my craft room wall. 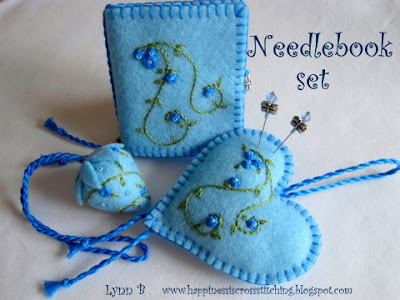 I have signed up for the Halloween exchange and the Christmas Box exchange on the Hooked on Exchanging blog, I need to get thinking about what I will be stitching as it is quite a while since I have signed up for any exchanges. I have nearly finished Rosey from Little house Needleworks, I should have a progress picture to post next time. 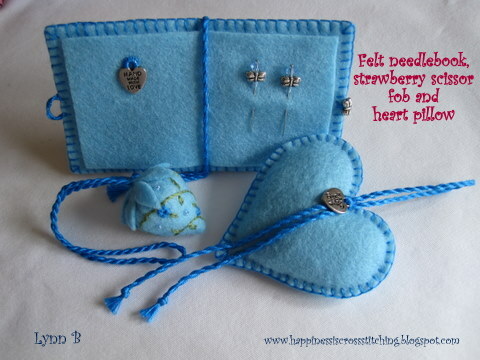 Thankyou for all of your lovely comments and welcome to all of my new followers!